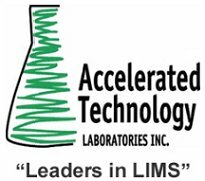 Join Labtronics on May 25th or 27th and learn how your laboratory can go paperless - in just 3 days. This complimentary webcast from Labtronics introduces a revolutionary new process that takes your laboratory from paper to paperless in just 3 days. It's fast, it's easy and it's guaranteed. Contur Software is pleased to announce that Evotec AG (Frankfurt Stock Exchange: EVT; TecDAX), a leading provider in the discovery and development of novel small molecule drugs, has selected ConturELN as their Enterprise ELN. The electronic lab notebook system from Contur was chosen after a thorough selection process. 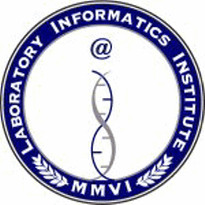 Sapio Sciences is pleased to announce that it has released Exemplar LIMS version 4.0. With the 4.0 release, Exemplar extends its lead in configurability and flexibility. Asolva (www.asolva.com), a leading provider of healthcare data analytics and reporting systems, has added a package of infection surveillance tools to Medici, its clinical information management system. The package will assist pharmacists, physicians and other infection preventionists in tracking and maximizing their antimicrobial stewardship programs (ASPs). Agilent Technologies Inc. (NYSE: A) today announced that its acquisition of scientific-equipment maker Varian, Inc. is now final, positioning Agilent as a leading provider of analytical instrumentation to the applied and life sciences markets. Agilent paid approximately $1.5 billion in cash for Varian in a deal that brings together two Silicon Valley pioneers. Waters Corporation (NYSE: WAT) today introduced Empower™ Driven Services, an innovative service program that provides Waters® Empower customers with invaluable analytics needed to make enterprise-level decisions regarding laboratory utilization. Empower Driven Services integrates instrument services and laboratory intelligence analytics from customers' Empower database to optimize customer resources through continuous improvement and superior lifecycle asset management. BIOTECHNICA 2010 is open for business in Hannover from 5 to 7 October, with new focus topics and more wide-ranging coverage. “Those in search of current trends, new ideas and inspiration need look no further than BIOTECHNICA”, says Stephan Ph. Kühne, who sits on the Board of Management at Deutsche Messe AG in Hannover. “Here businesses meet new customers and commercial partners for their products and solutions, ideas find investors and the latest scientific findings reach a broad professional audience”. A ‘Top 10’ pharmaceutical company is one of the first to implement Debra 5.7.7, the latest release of LabLogic Systems’ LIMS for drug metabolism studies. Recent developments in the software, in particular the new Protein Binding and Pooling modules, will bring efficiency improvements to the company’s research centres in Switzerland and the USA, which have been using Debra 5.4 since 2002.